Yamaha has made a surprise leap into the luxury tourer segment with a new high-tech V-twin. The 2018 Star Venture might be based around a development of the old 1854cc pushrod V-twin from the XV1900, but it’s heavily revamped and slotted into a bike that’s otherwise completely new and packed with technology. Engine changes include a new six-speed shaft-drive transmission and a complete electronics overhaul, including ride-by-wire, traction control, multiple riding modes and cruise control. A new Sure-Park system provides an electrically powered, walking-speed forward and reverse gear so you never have to push the Star Venture’s heft unaided. 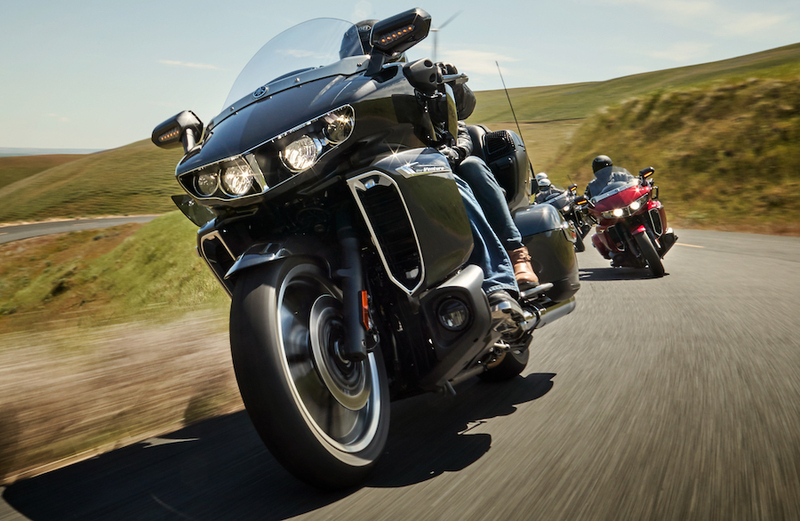 Built-in electronics include heated grips, seats and backrests for both rider and pillion. There’s also a seven-inch touchscreen to provide information and entertainment. 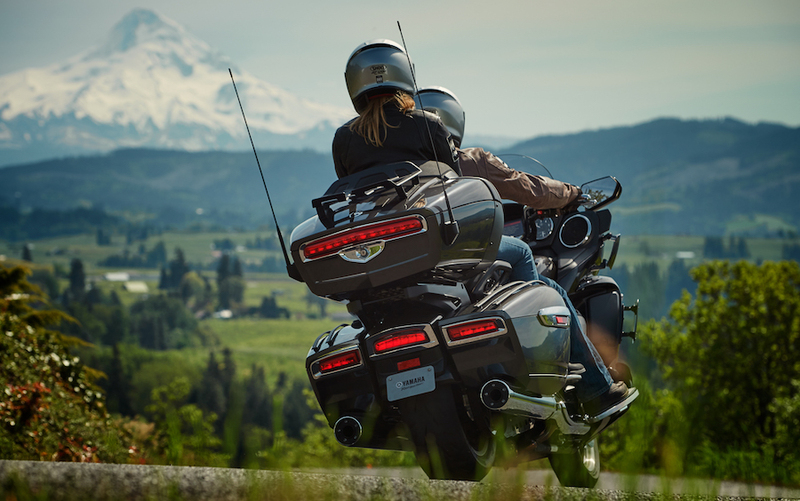 A Transcontinental Option Package can also be specified to add GPS, a CB radio, Sirius satellite radio and dual-zone audio so the rider and passenger can listen to different sources, or make separate calls. The under-square motor, with a 100mm bore and 118mm stroke, is tuned for torque rather than power. Yamaha claims a peak of 171Nm and says that, thanks to the long sixth gear, the Star Venture will lope along at 120km/h with just 2750rpm on the rev counter. There’s a huge amount of storage space, of course, totalling some 141 litres of luggage capacity. And speaking of huge, the bike has a 46mm fork to help cope with its immense weight, with a linkage-type remote reservoir rear shock. Twin 298mm front discs and a single 320mm rear are interconnected via Yamaha’s Unified Braking System, with ABS as standard. Alloy wheels are shod with 130/70-18 front and 200/55-16 rear tyres and Yamaha claims an easy 320km between fuel stops thanks to a 25L tank.